Lynn Norton was kicked from nest on 10-1-13. 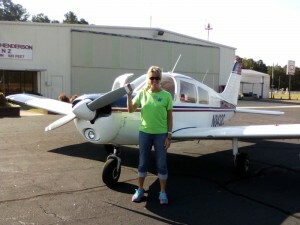 She spread her wings and took to the sky in a Piper Cherokee, N8432C. 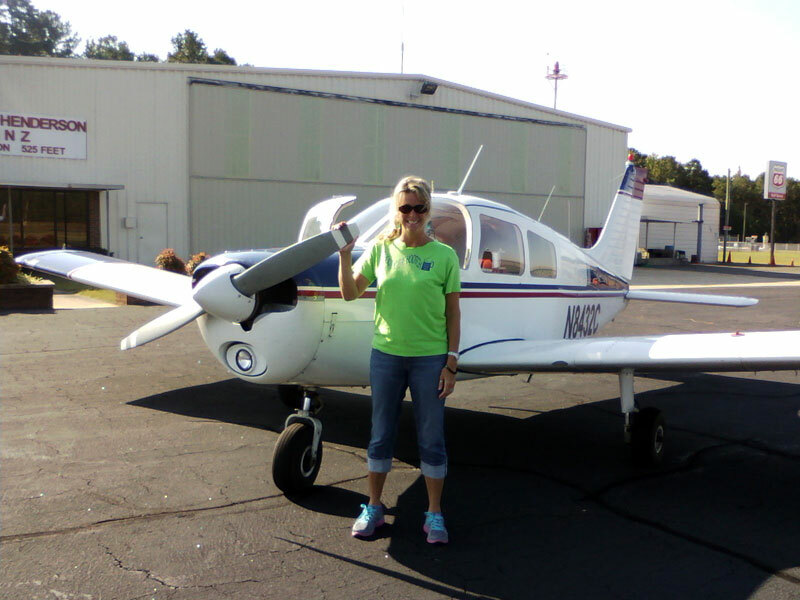 After three solo landings at the Oxford-Henderson airport, she was congratulated by her husband, Johnny (also a flight student at Empire Aviation). For a smooch like that … well, we’d be soloing everyday!